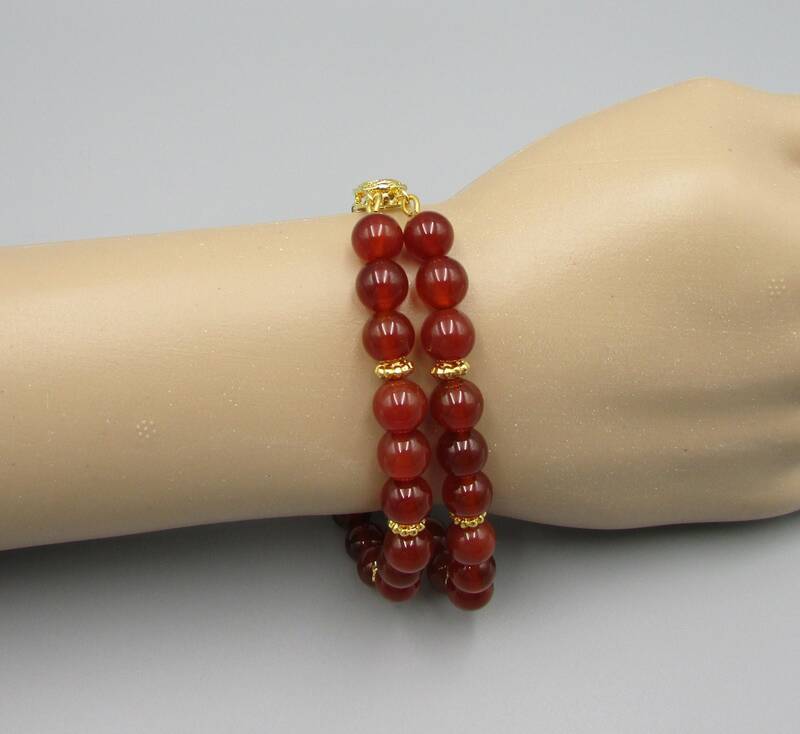 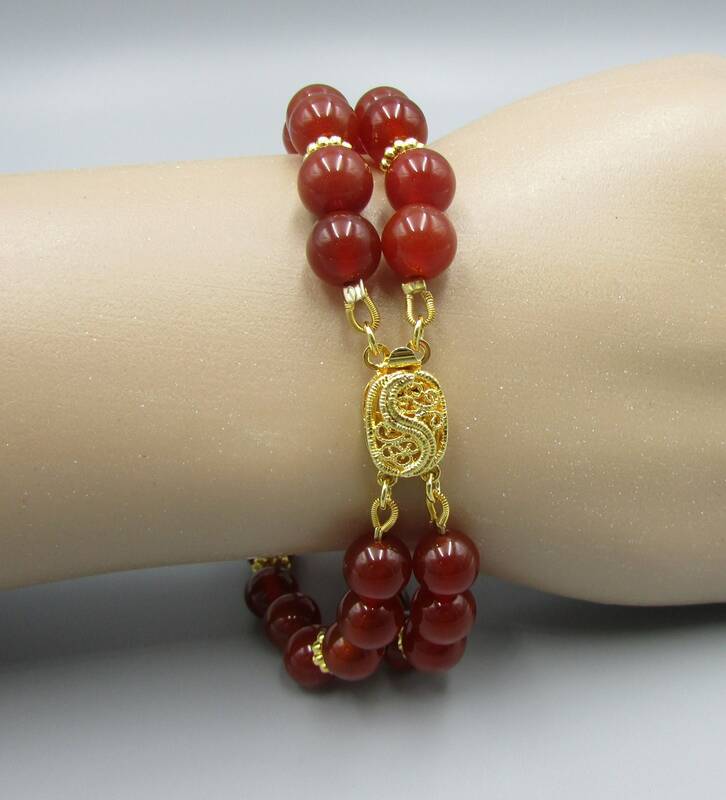 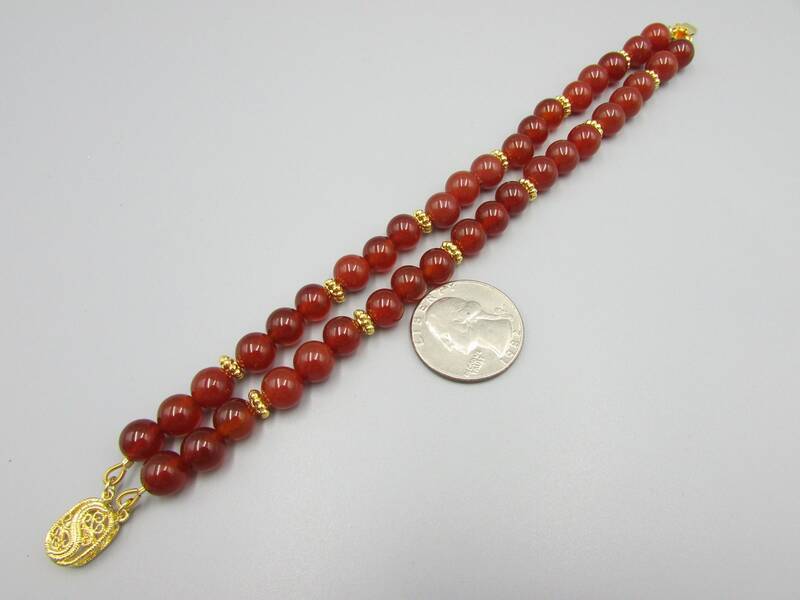 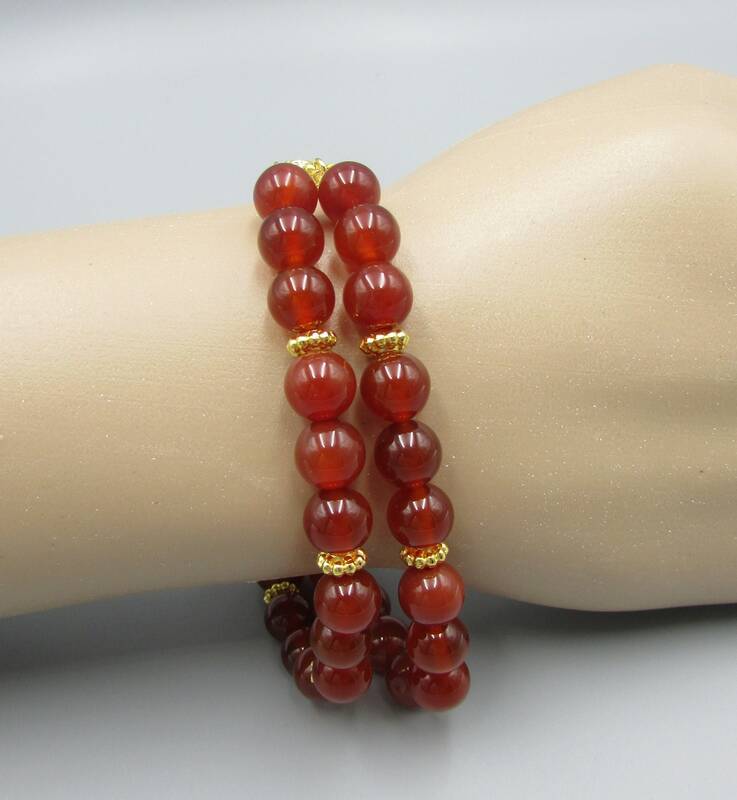 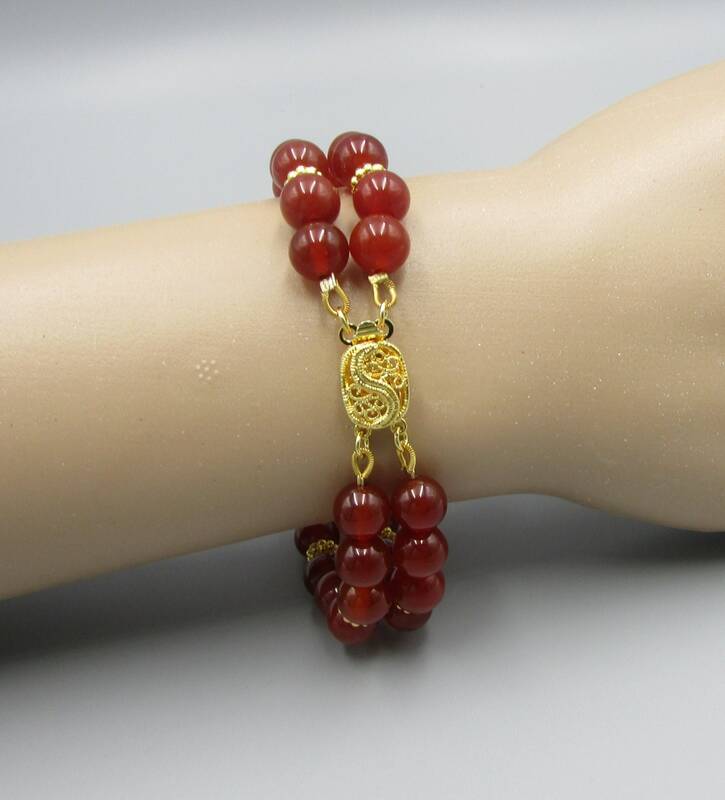 This unique multi strand carnelian bracelet is created with 8mm smooth round carnelian, fine gold plated gold spacers and finished with a beautiful gold filigree box clasp. 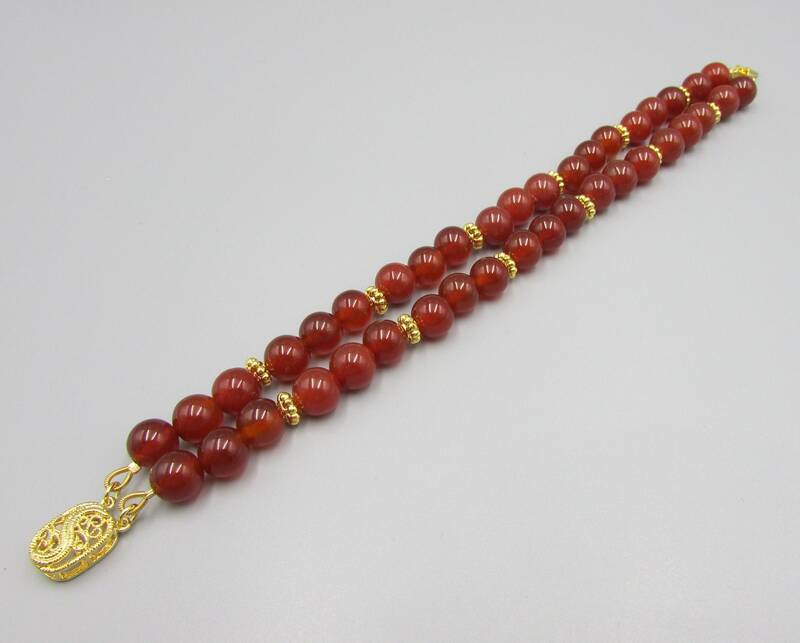 The length of the bracelet is 8 inches long. 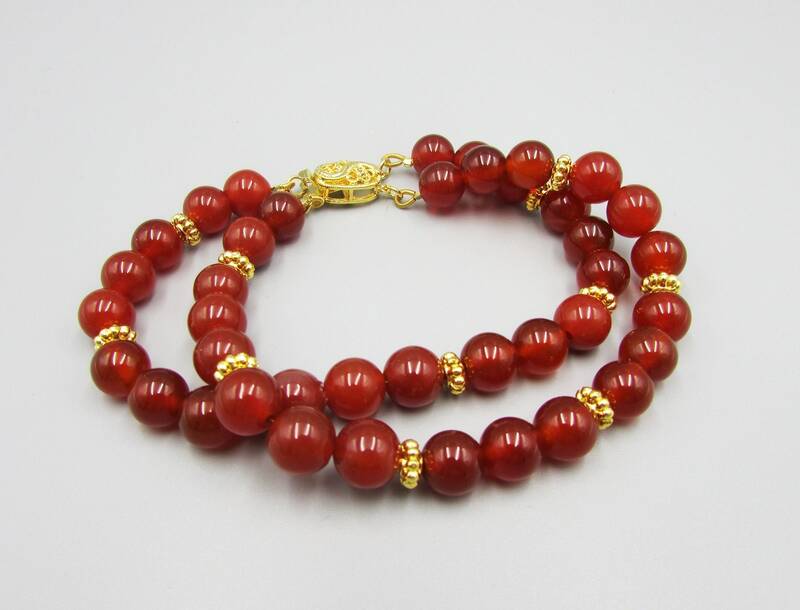 Carnelian is a variety of chalcedony. 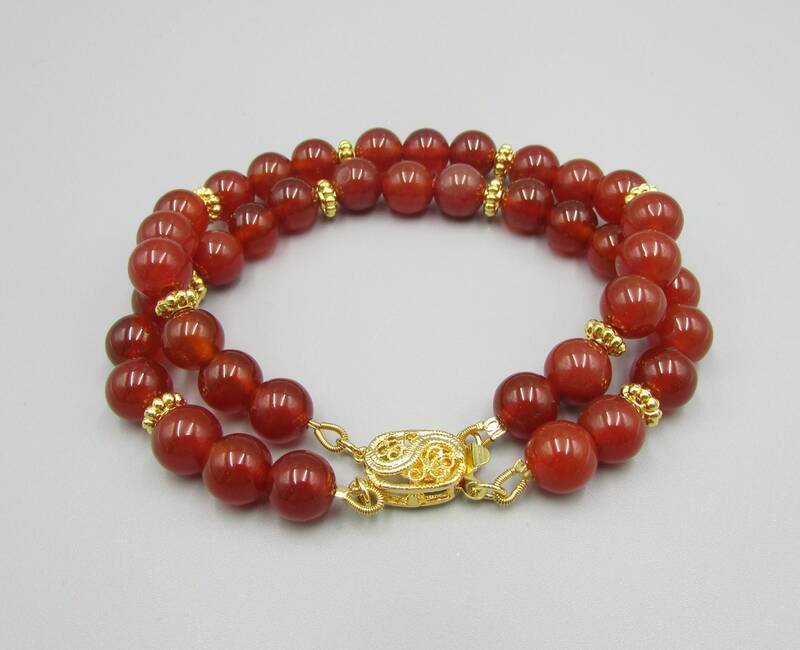 Carnelian appears in a vibrant range of fire-orange reds to brown-reds and has a dull, waxy luster. 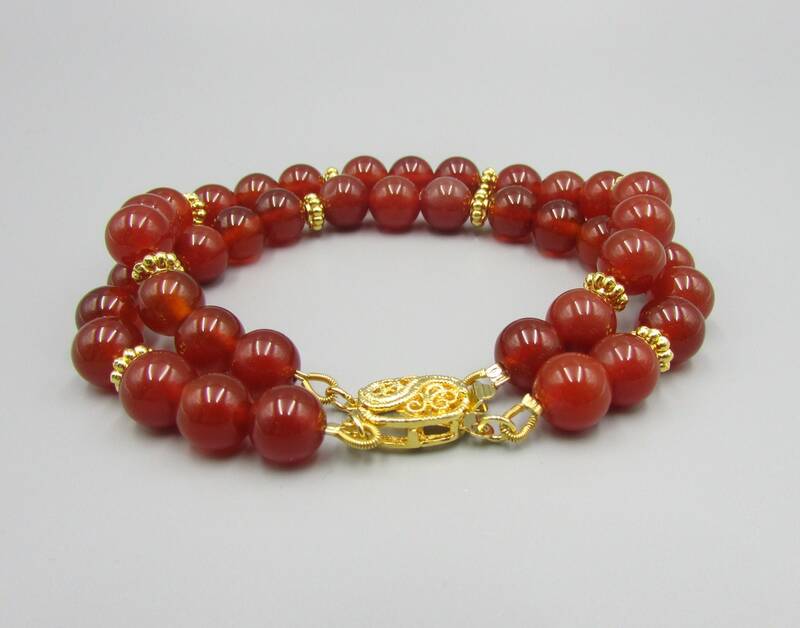 Carnelian can be confused with jasper, which is usually considered a chalcedony. 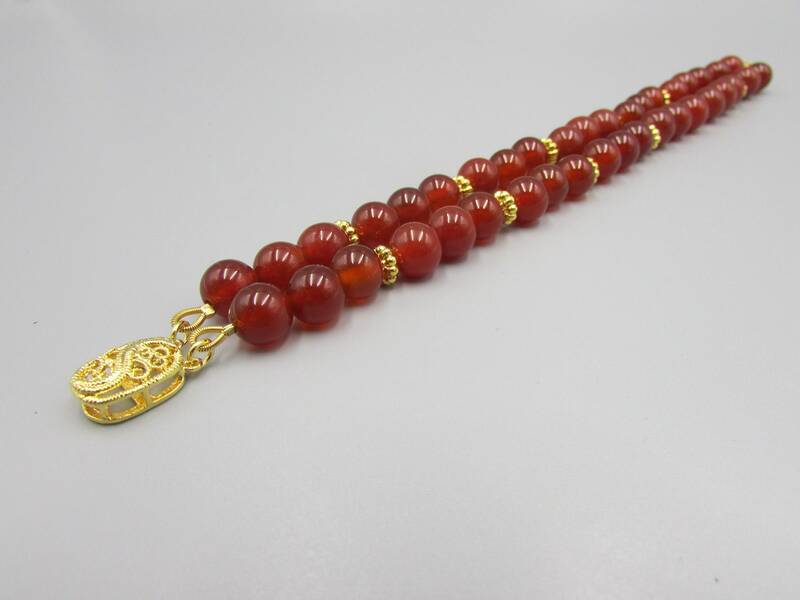 Carnelian is most commonly found in India, Brazil, Siberia and Germany.